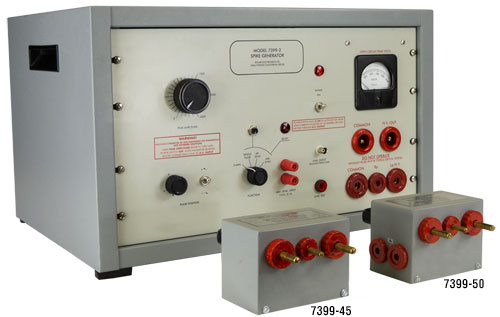 Paragraph 5.3.3.1 Apparatus paragraph c of MIL-STD-1399-300B refers to Solar Spike Generators Models 7399-1 and 7399-2 needing modifications in order to accept an independent 60 Hz sync input. In response to the changes in MIL-STD-1399-300B, we have incorporated an independent 60 Hz sync input function. This is accomplished through the addition of a selector switch position and associated internal wiring. The discharge switch has also been updated to a solid-state type switch. Due to these changes, we have rolled the part number of the generator from 7399-2 to 7399-3. 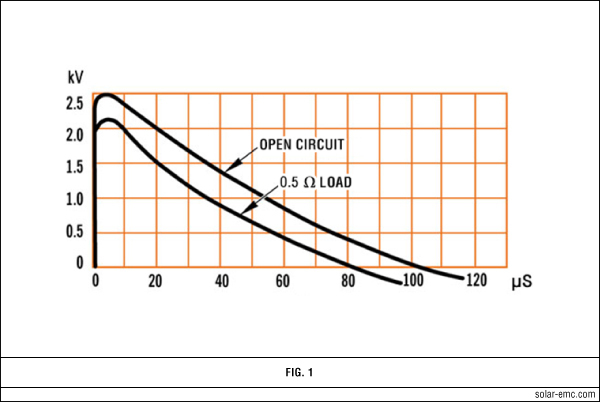 • Sync functions provide for placing the spike on the power frequency waveform of 50, 60 or 400 Hz power lines. The spike can be moved to any point on the sine wave from 0 to 360°. A SYNC TEST function is provided for adjusting the trigger circuit of the associated oscilloscope for response to a single pulse. After this adjustment of the scope, it is ready for viewing the spike. When the READY lamp indicates the storage circuit has been charged to the selected peak voltage, the pushbutton is depressed which triggers the sync circuit of the oscilloscope. 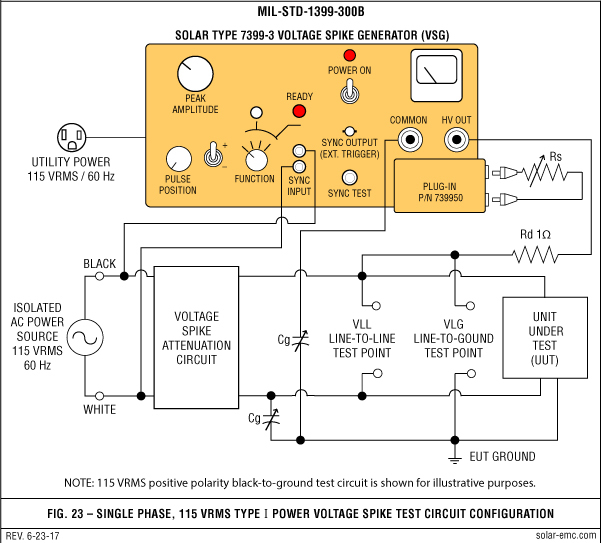 All connections to the Solar Model 7399-3 are isolated from the chassis. The chassis is grounded through the third wire in the power cord in accordance with safety regulations.